Even your toughest cravings are no match for this fiery favorite. 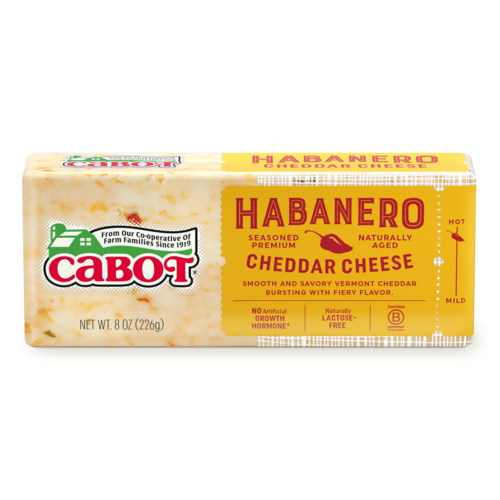 Maybe it's the flecks of jalapenos, or maybe it's the creamy Cabot cheddar flavor. Whatever it is that makes our Lactose-Free Jalapeno Lite50 Cheddar so irresistible, you certainly won't believe this bold cheese is light. 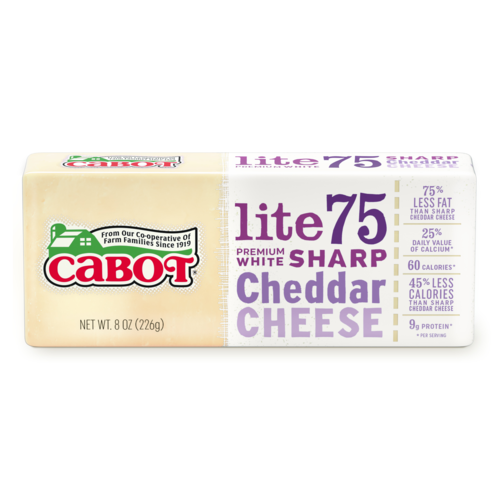 It has won the highest score at the United States Championship Cheese Contest for reduced fat cheddars. Even your toughest cravings are no match for this fiery favorite. 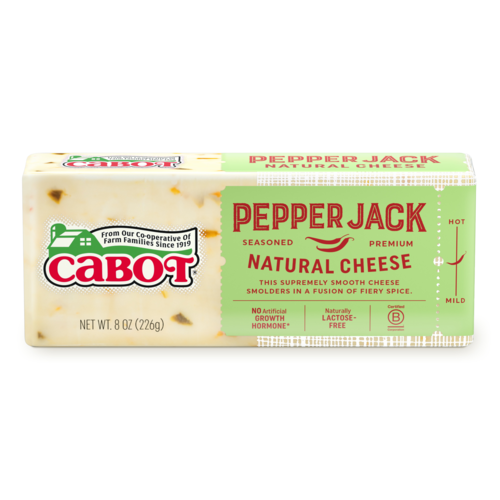 Check out top 10 Spicy Cheeses + Recipes today! 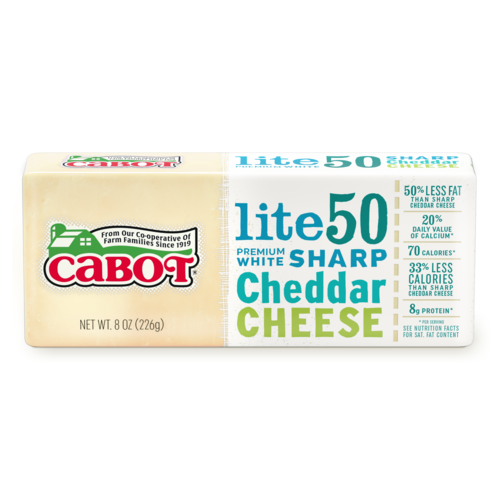 Ingredients: Pasteurized lowfat milk, cheese cultures, jalapeno peppers, salt, enzymes, Vitamin A palmitate.